YuBingo Today's going to be bloody amazing Designer Mobile Case Back Cover for Samsung Galaxy S5@499 Rs [Mrp:-1499] - Onlinedeals.discount - A leading product discovery website. Find the true prices of products, read reviews and buy top brand products at reasonable prices. Stand Out in Crowd with Exclusively Designed Premium Case from our Best Designers for your Mobile and Surround your Device with Quality Designs that commands Attention. This Cover Provides Maximum Protection to your Phone and Maximum Comfort for use. Raised Lip Design Protects the Front Screen and Edges from Scuffs and Scratches. Open buttons and Exact Cut-outs Allow Easy Access to Phone Functions. Now rock your Samsung Galaxy S5 with YuBingo designer cover made just for you! 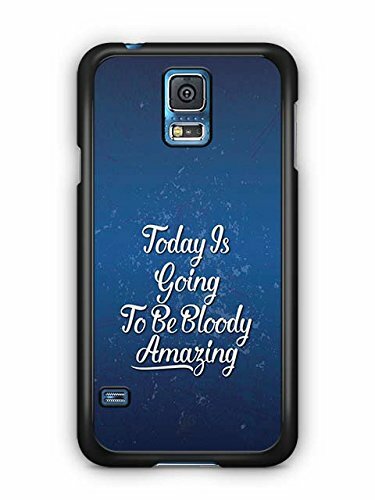 Keeping your phone safe and scratch-free, this “YuBingo Today’s going to be bloody amazing Designer Mobile Case Back Cover for Samsung Galaxy S5” is made from High Quality Plastic with printing on metal sheet. 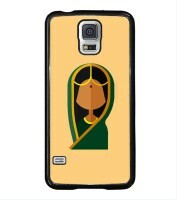 Customised and totally cool, this mobile cover will be made for you once you place the order. With a premium finish and amazing colours, the cover looks gorgeous and is a sheer beauty. Letting you use all the buttons and ports, this designer cover is never a hindrance. Light-weight and comfortable, this mobile cover does not damage your Samsung Galaxy S5 and saves it from scratches and jerks. 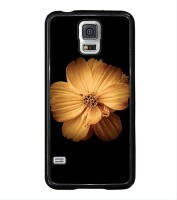 Covering the back of your phone, this designer cover is easy to mount and remove. This designer cover covers full back side of your phone and you don’t need to remove the original back cover of your phone. 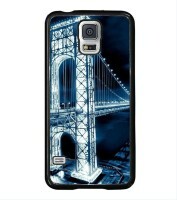 This cover for Samsung Galaxy S5 will be created as per your order and commands. This cover is specifically printed for you, therefore, please do not cancel after placing the order. Using Heat Transfer Technology and High Quality Permanent Ink, the colours are matched as per the picture provided. Please note that the colours will be matched according to the maximum Print Ink Transfer rate of 90%. YuBingo is committed to bring the best for you and your Samsung Galaxy S5. 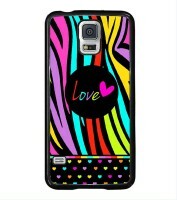 This cover for Samsung Galaxy S5 is created just for you, “Because You are a Limited Edition”.